Ready for Full / Half -Mini Card dimension. 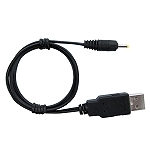 SIM Connector for CDMA HSDPA/HSUPA, UMTS, GSM, GPRS, EDGE minicard. Access LED; Power LED; PERST# LED. 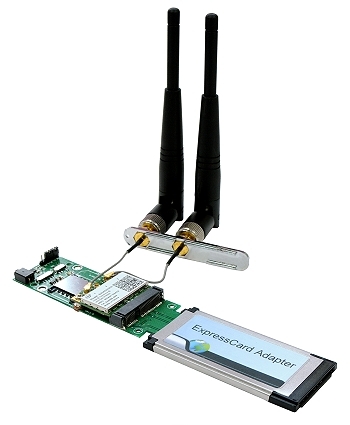 USB2.0 and PCI-E minicard support. PTC fuses and power switch for power protection. 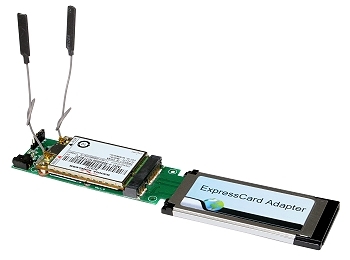 Click the button below to add the PE3B (Mini PCIe Card to ExpressCard adapter) to your wish list.